Since 1994, Lakeside Mechanical has proudly served as the premier mechanical contractor in Sackets Harbor, NY. As a locally owned and operated company, we take great pride in providing prompt and personalized service, as well as solid plumbing, electrical and HVAC work. As a full service electrical contractor, Lakeside Mechanical is proud to offer a wide range of HVAC, plumbing and electrical services. 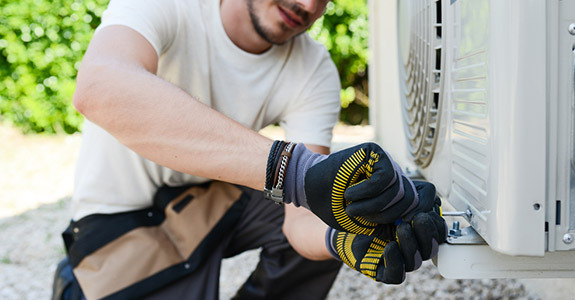 Those services include the servicing and installing of hot water boilers, radiant heat and central air conditioning systems, duct insulation and sealing. We also fix tubs, showers and faucets, and are proud to offer many other plumbing and electrical services. Our team of experienced professionals is well versed in all systems, including both propane and natural gas, and we offer our services to new construction builds and remodeling jobs alike. We have been an electrical contractor and plumber in Sackets Harbor, NY for over 20 years now, and we look forward to serving customers in this area for many years to come. We are a proud locally owned and operated small business in Sackets Harbor, NY. We have over 20 years of experience in our field. Our team can handle electrical repairs, HVAC work, emergency plumbing and much more. We are fully licensed and insured, and carry an A+ certification from the BBB. We offer all of our services at affordable prices. "Woke to a cold house. Matt got us up and running with just a call. Always does a great job and we will always make him our first call. Very ..."
"Matt was responsive, fair, and helpful. Best of all, he actually answers his phone and calls back as promised. How refreshing!! Hire him for..."
"'Matt' has been taking care of our seasonal residence on Henderson Bay for what's coming up on 3 seasons. He has come over to address issues..."